Hello Runners and Cheer Team for Team Silva! We’re excited to run this Sunday in honor of Austin. We’re thankful for you coming on this journey with us! “God is our refuge and strength, an ever-present help in trouble. Therefore, we will not fear…” Psalm 46:1-2a, is our theme verse as Austin loved this chapter and who doesn’t need to be reminded of this truth?! There are about 37 runners on Team Silva. Most of them doing the half or the relay and a few brave full marathoners! For clothing for Sunday, I will run in long sleeve shirt and then wear my Team Silva shirt over it, leggings, gloves, thin ear warmer. Layers are always best. College Kids -If you go for a run representing Austin this weekend, send us a pic. We miss you and praying for you guys as you finish your semesters well! We look forward to seeing some of you there! Take 75 to I-30 West. Exit Ervay, pass St. Paul and Ervay, and take a right on Akard. There is some parking between Cadiz and Canton. 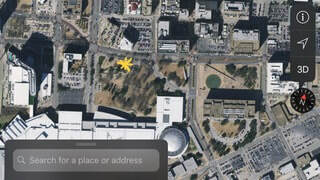 There is also some parking on the south side of the convention center. After that, you may need to be more creative. Use the Best Parking app. CARPOOL down to race. Kids like to take the train but it can take a long time. You will see the relay teams go all the way around White Rock Lake and back. Half Marathoners do the smaller loop. 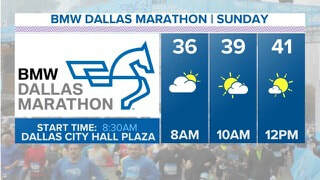 We’ll try to send out more info on this before the race so you can have a better chance to track runners. Cheering stations are noted. Go before or after the to avoid the crowds. The last 4-6 miles might be a good spot to watch the half marathoners. Although the race starts at 8:30, most of us will probably start a few minutes after that as they stage the runners. Go to this link from your phone to download 2019 app for tracking runners.You can enter individual names or relay names. Race starts at 8:30, but individual runners may start after that. Half Marathon Runners should finish in 2, 2.5 hours, or more. Relay teams, be sure you are coordinating rides, etc. It can get crazy! Also, if the relay team comes for the photo at 7:45, leave your 1st runner at the start, and make sure you have a plan to get to the 1st handoff in time. Come to Atomic Pies in Lake Highlands 1:00-2:30p and enjoy some pizza. Hopefully, you’ve recovered a bit. I will have some pizzas, salad, and cake preordered. You could call call ahead to order extra food if you want. Thank you again. It will be fun! Take pictures where you can and send them to us! Let us know if you have any questions.